Here you glow: a performance-focussed running top with style to spare. 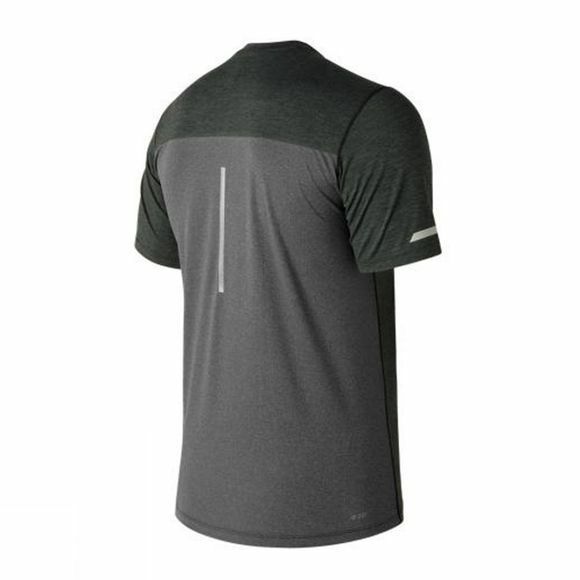 The men’s Viz Short Sleeve Top features NB Dry moisture-wicking fabric technology with mesh side panels bonded to the back for an anti-chafe fit that breathes. 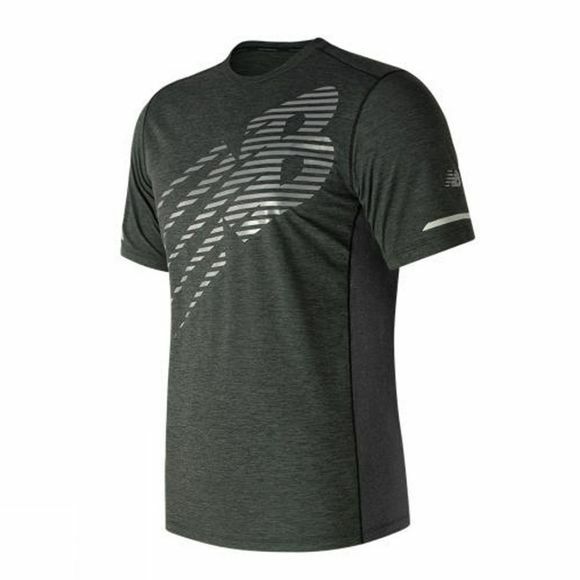 NB Glow taping and 360° reflective details including a shark reflective logo prepare this runners’ essential for training days that extend into evenings. A minimal charge to the glow-in-the-dark graphics of 10 minutes under direct sunlight or standard lighting radiates your performance. By its nature, the brightness of the material will diminish over time.